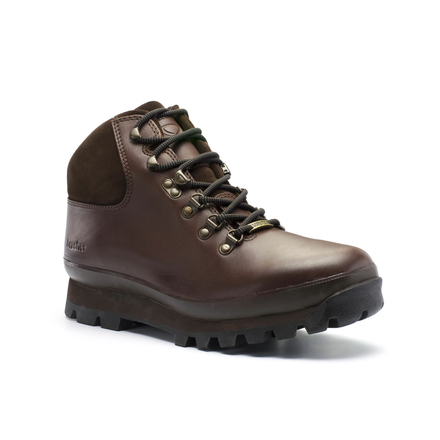 To celebrate the re-launch of brasher’s most famous hiking boot Hillmaster II GTX, in February 2011, the company has launched a nationwide poll to find Britain’s greatest living Hill Master. This will run from 25 January to 20 February 2011. Now it’s up to you to cast your vote and help to choose the worthy winner! Who do you think has achieved the most? Who should represent Britain’s stunning hills and valleys and the enjoyment they offer to all outdoor enthusiasts? Cast your vote by visiting www.brasher.co.uk and simply clicking the button next to your favourite shortlisted British Hill Master. The winner will be announced in mid March 2011 and will be officially crowned brasher’s ‘Greatest British Hill Master’, with a specially designed trophy to mark the occasion. Anyone who votes will also have the option to enter a competition to win a pair of the new brasher Hillmaster II GTX worth £140, which offers luxurious comfort, upgraded performance and in a men’s and women’s specific fit. The Swedish-designed Kozi Kidz (www.kozikidz.co.uk) range is every parent's answer for a high quality collection for children that is not only weatherproof and highly practical but also with bright fun colours and designs. Kozi Kidz is designed with kids in mind and with the understanding that today’s youngsters are no longer happy to just wear a 'mini-me scaled down versions of their parents' favourite waterproofs and fleeces. Kozi Kidz rainwear is fully waterproof and includes all the practical safety features like reflectors and detachable hoods and of course all the clothing comes in the very latest bright and cheerful seasonal colours. The Kozi Kidz collection includes waterproof Rain Suits, Rain Sets, Raincoats, Ski wear, fleece and a host of accessories as well as super up-to-date softshell to provide dryness, warmth and weather protection. The British weather can be unforgiving in the winter months but don’t let that stop you enjoying time outdoors. Built for comfort, protection and functionality, Vango's (www.vango.co.uk) versatile mountain tents are suitable for anything from a weekend adventure to long mountain expeditions. All have a Protex SPU 5000 ripstop nylon flysheet and a sewn in groundsheet made of HD Nylon 6000 to protect against the wet ground. The Powerlite 7001-T6 alloy poles are light, flexible and durable, making these tents sturdy yet lightweight All tents in the mountain range are all recommended by the Duke of Edinburgh Award Scheme. New for 2011, the Chinook is a great space-saving option for your winter camping trip. 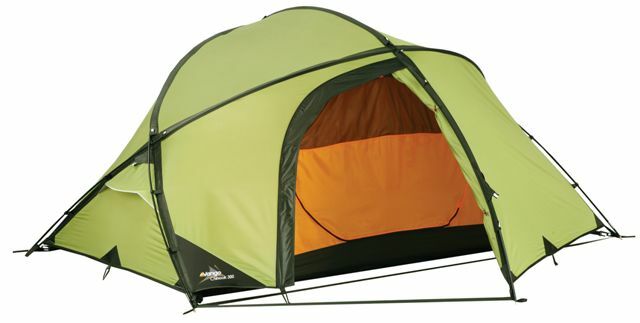 This semi-geodesic, free-standing tent is compact and lightweight, yet has ample sleeping accomodation and headroom. The semi-geodesic design means there is no need for a TBS system as the shape naturally withstands the wind. The Chinook has front and rear flysheet doors, with porch space at both sides for extra storage room. Supplied with its own stuffsac, it is available in the 200 (rrp £240) and larger 300 (pictured; rrp £300) models.